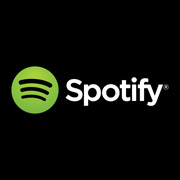 LONDON (Hypebot) – Spotify has just opened no-fee merchandise sales to all artists. Artists must first sign up for a free Topspin Artistlink account, but can handle transactions directly or connect to other merch services. After the account is verified as controlled by the artist, usually within 24-28 hours, up to three items can be sold at a time with no fees taken by Spotify or Topspin. Only Spotify users in English speaking countries will see merchandise listings. Currently the countries include: U.S., U.K., Ireland, Australia, New Zealand, Denmark, Sweden, Norway and Iceland. Spotify plans to roll out additional language support in the future. But for now, if an artist from a non-English speaking country puts merch up for sale, it will be shown in currently available countries. You can register for a free Topspin Artist account here. Registered artists can also create free band pages on MTV.com, VH1.com and access special marketing and promotion opportunities. Get Your Merch on Spotify.